First, I want to say that this is an NCP report, not a NICAP report. 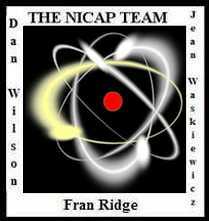 The Nuclear Connection Project is composed of many persons who also work for the NICAP site which is peer-reviewed, but the NCP reports and comments are our own. This summary is subject to revision as new information is provided. Secondly, my report is just that, a summary, but the 1965 UFO Chronology which is the main reference is 16 pages long with active links to cases which is always being revised. If one printed out the full volume of data for 1965 alone it would be a pile of documents and paper many feet tall. Work on this UFO intelligence summary began in 2006, and it will probably be updated in the months and years ahead. The purpose of this particular summary is to consider an insight into what WE were doing in 1964-1965 so that we might be able to figure out if and how the UFO phenomena was reacting to it. But you have to understand that what we are dealing with here is what we know about. I'm sure there were many things happening behind the scenes, both with Mankind and UFOs. One would not expect UFO waves and flaps to follow chronological boundaries, and this one is no exception. 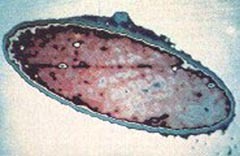 This 1965 UFO sighting wave started in 1964, and I can remember very vividly while in reception center at Fort Knox in August of that year the newspaper headlines showing photos of the bombing in the Gulf of Tonkin. On August 2, 1964, the destroyer USS Maddox, while performing a signals intelligence patrol as part of DESOTO operations, engaged three North Vietnamese Navy torpedo boats of the 135th Torpedo Squadron. A sea battle resulted, in which the Maddox expended over two hundred and eighty 3-inch and 5-inch shells, and in which four USN F-8 Crusader jet fighter bombers strafed the torpedo boats. We were going to war, the first time since a decade and a half ago in Korea. But the stakes were higher, MUCH higher. The 1958-1963 era was referred to by UFOlogical old-timers as "The Great Silence" or "The Desert". More recent surveys, in particular the Blue Book sighting listings, show a higher level of incidents. The reason for this "apparent" silence is unknown but the the case incidence appeared to be way down and the high-quality cases were few. Little or nothing was reported in the news media. On the other hand the extended wave of 1964-1968 was a worldwide avalanche. Something was going on that had to have a reason of some sort. Prior to this, in Viet Nam, Air operations began early in the war, but fours years before, in 1961, an Air Force unit with a few tactical aircraft were dispatched there to assist the U.S. Advisers. The war was escalating and the nuclear testing in the Pacific was high. There were 36 atmospheric nuclear devices detonated in the Pacific Proving Ground from April to November 1962. In October (18-29) 1962 the Cuban Missile Crisis occurred. It was the closest the world has ever come to a nuclear war. The Air Force had placed its first ten Minuteman ICBMs on operational alert at Malmstrom AFB, Montana, that very month. UFOs appeared to make themselves even more scarce, possibly to avoid an accident of monumental proportions. Deployment of the Minuteman 1 proceeded at a furious pace, and within 5 years, by June of 1965, 800 of the solid-fuel missiles stood poised in their silos. In February 1965, President Johnson had ordered a bombing campaign, Flaming Dart (became Rolling Thunder in March), to punish continuing attacks in South Vietnam and to break the will of the Communists. B-52s dropped their first bombs on South Vietnam in June 1965 and by the end of 1965, there were about 500 American aircraft based in Vietnam and three US Navy aircraft carriers with more than 250 aircraft off the Vietnamese coast. A dangerous situation was brewing. Twenty years before, World War II had ended and the Japanese had surrendered after the most peaceful nation on the Earth used two nuclear weapons to kill 200,000 civilians. The Russians had a missile delivery system after the war, and the ensuing cold war raged for decades after that, resulting in the close call in 1962 of the Cuban Missile Crisis. The events of 1965 could be interpreted as very scary. On Sept. 28, 1965, there was memo from Maj. Gen. E. B. LeBailly, USAF director of information, to USAF Scientific Advisory Board requesting a scientific panel to review the methods and findings of Project Blue Book. LeBailly noted: "Many of the reports that cannot be explained have come from intelligent and technically well-qualified individuals whose integrity cannot be doubted." 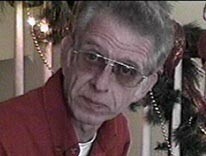 In April of 2008, "UFO Hunters" and the Sci-Fi Channel aired "Code Red", which was the story about a major UFO alert incident. On Oct. 7, 1965, at Edwards AFB, California there was an alert involving F-106 interceptors equipped with nuclear weapons. I was asked to film an interview of NICAP's support of the case and did so, but it wasn't used. Then, on Nov. 9, in northeastern United States, the mysterious NE power grid failure and power blackout made world news. It wasn't the "day the earth stood still", but it may have been a message.